Bundaleer Gardens is one of our favourite ‘rainforest style’ wedding venues in Brisbane. The staff at this venue are exceptional and you and your guests will be sure to have a relaxed, fun-filled day! Check out the following wedding videos showcasing Bundaleer Rainforest Gardens, a beautiful wedding ceremony and reception venue in Brookfield, Brisbane. 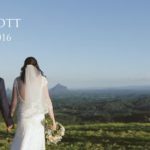 * Bundaleer Rainforest Gardens WEDDING SHOWCASE 2017. * ‘Natalie & Liam’ created alongside our sister studio – Liquid Light Studios. View their wedding photos here. For more wedding video examples, check out our wedding video portfolio page. 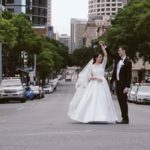 Click here for more information on our wedding videography services in Brisbane, Gold Coast & Sunshine Coast.